I am in love with the look of these shoes! The extra platform really gives me the vibe I’m going for. However, I am a little bummed about the fit. Ordered a 6.5 (the same size as my other AF1s) and they are way too narrow for my feet. I also noticed that these have less cushion than my other AF1s. Buy these sneakers before they're gone! I contemplated getting these in white for a long while and I finally caved. I couldn't decide between these or the classic air force 1 but I'm really glad I went with the sage low. So comfortable and trendy, you can dress them up or keep it casual. I've received so many compliments. A staple piece honestly. As for sizing, these do run a tiny bit small. 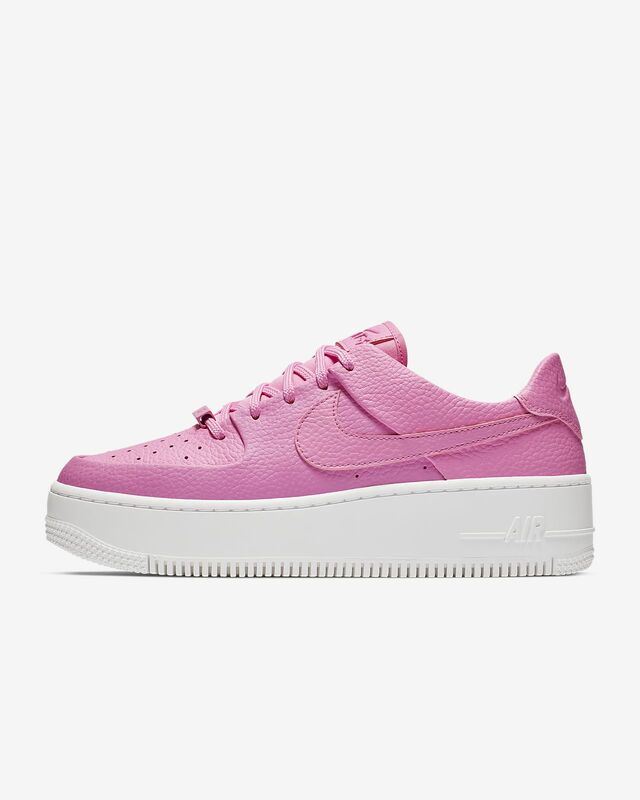 I'm a 9 and went with a 9, they're just right but I probably would've been more comfortable in a 9.5 (they were sold out) so definitely size up a half size.